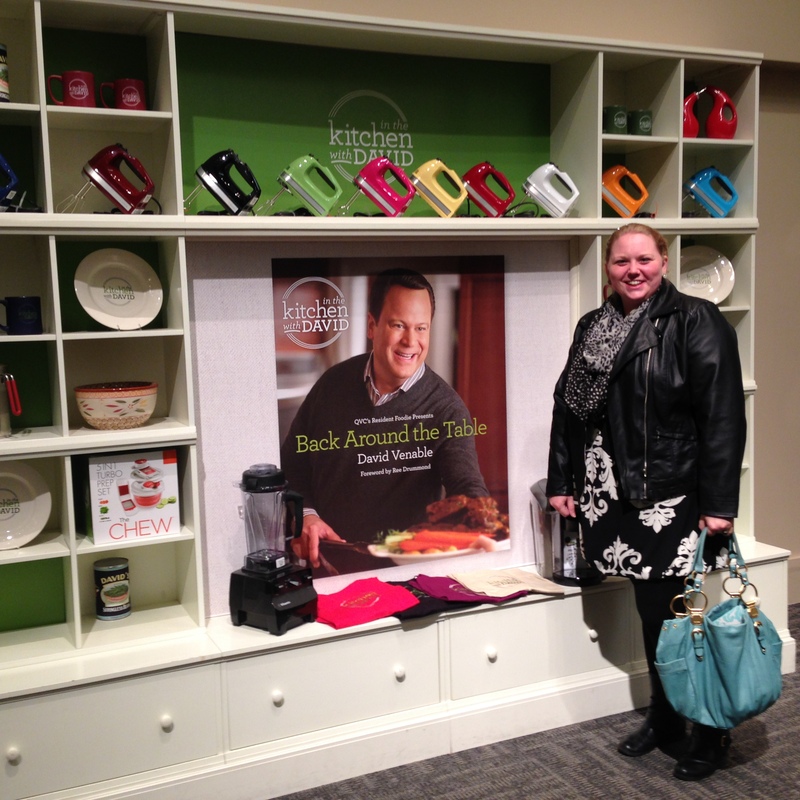 Sadie and I have a love for In the Kitchen with David on QVC. It airs every Wednesday night and Sunday afternoon hosted by the fabulous David Venable. 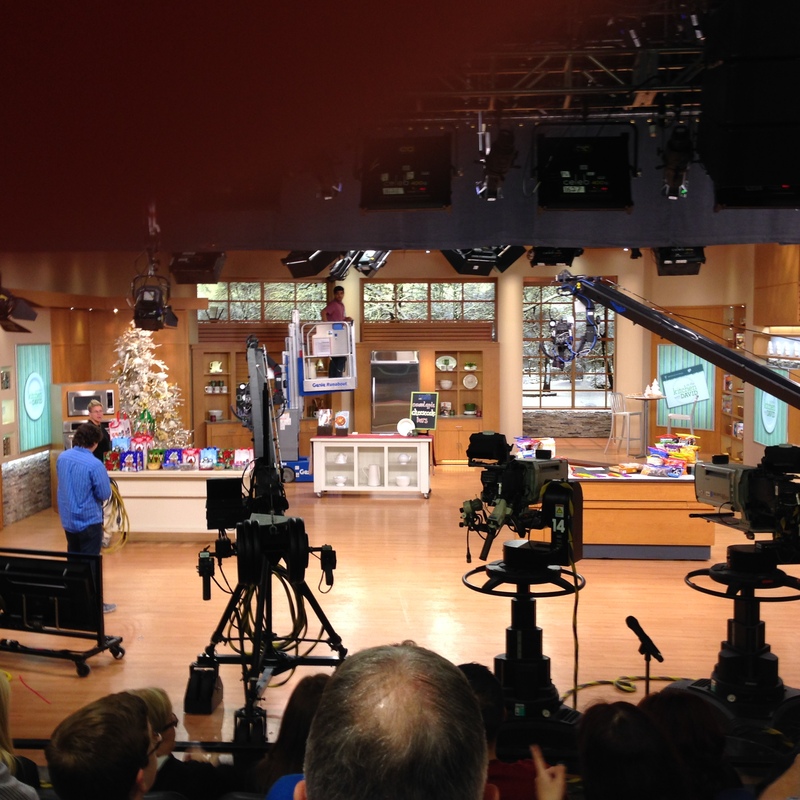 I got the unique opportunity to go see the show live at QVC Studio Park in West Chester, PA. It was everything I thought it would be and so much more. I saw Tara McConnell, the creator of Temptations, and the oh-so-famous Bob Warden. Before the show started, we had a chance to have a quick question and answer session with David and Mary. It was confirmed that David is down to earth and really cares about his fans. In fact, he announced that he would be available for a cookbook signing session after the show. My mom and I were ecstatic. 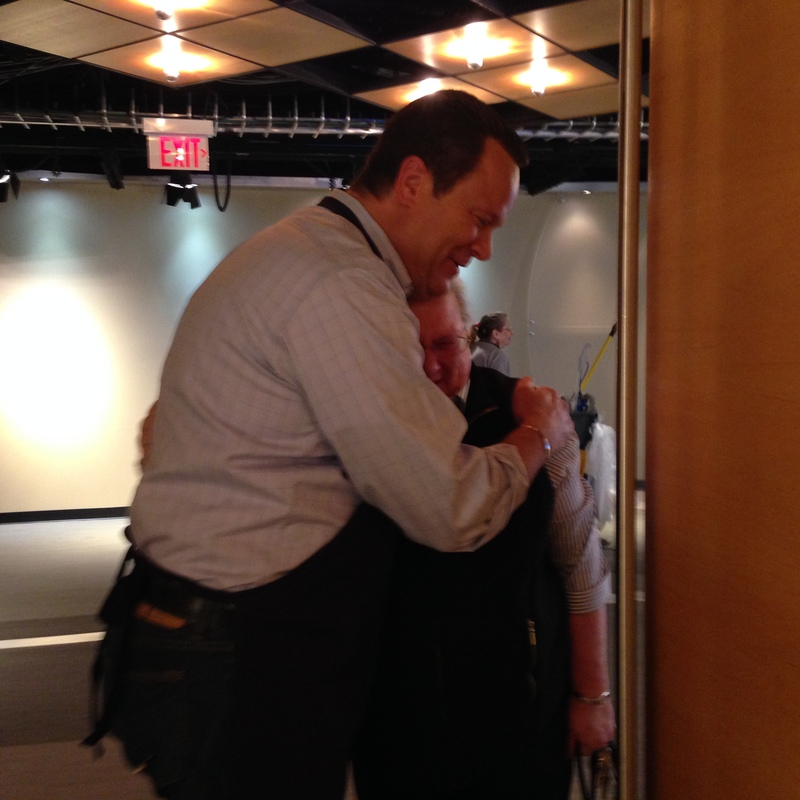 In fact, my mom was a little starstruck when she met David. He mentioned that one of his favorite recipes from his new book was Italian Wedding Casserole. Well folks, it is simply divine. I made it last night and I must say it was a success. You can find the recipe here in this preview of his latest cookbook, Back Around the Table. Have fun foodies! 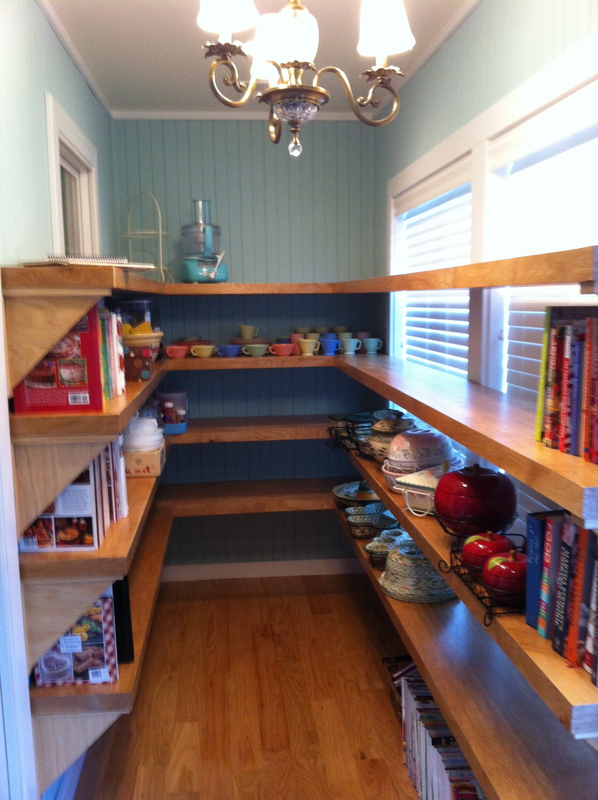 Here is a look at my completely remodeled pantry. As you can see, it was inspired by Martha herself. I even picked the paint color out to match her style. Martha would be proud. Now I have access to all of my kitchen accessories to make the perfect tablescapes for my guests. It’s only half full in the picture here but by then end of the day the shelves will be completely covered. This weekend I was having some girlfriends over for brunch. 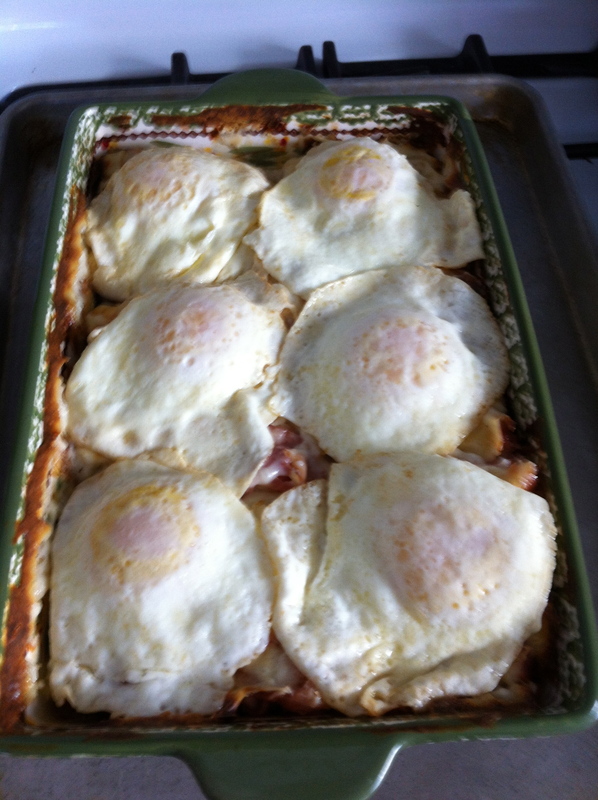 I decided to try Paula Deen’s Croque Madame Casserole. Let me tell you. This is a must have for your next brunch menu. It is rich and delicious. Mind you, it is not something you should make if you are counting your calories! Preheat the oven to 400. Grease an 8×8 square baking dish. (I used an 8×11 baking dish instead).Melt 6 tbsp of butter in a large skillet over low heat until bubbling. Whisk in flour and cook for one minute. Whisk in milk and cook until thick and bubbling, 3 to 5 minutes more. Whisk in mustard, salt, pepper, and nutmeg. Pour a thin layer of sauce in the baking dish and cover it with 5 slices of bread. Then top the slices of bread with half of the ham slices and half of the swiss. Repeat the layers once more and finish the casserole with another layer of sauce to cover the entire dish. Bake for 30 minutes. In a large skillet, cook 6 eggs over easy. You can work in batches. Season with salt and pepper to taste. After the casserole is finished baking, cut the casserole into 6 portions and top each portion with an egg. You have a delicious meal ready for your guests. 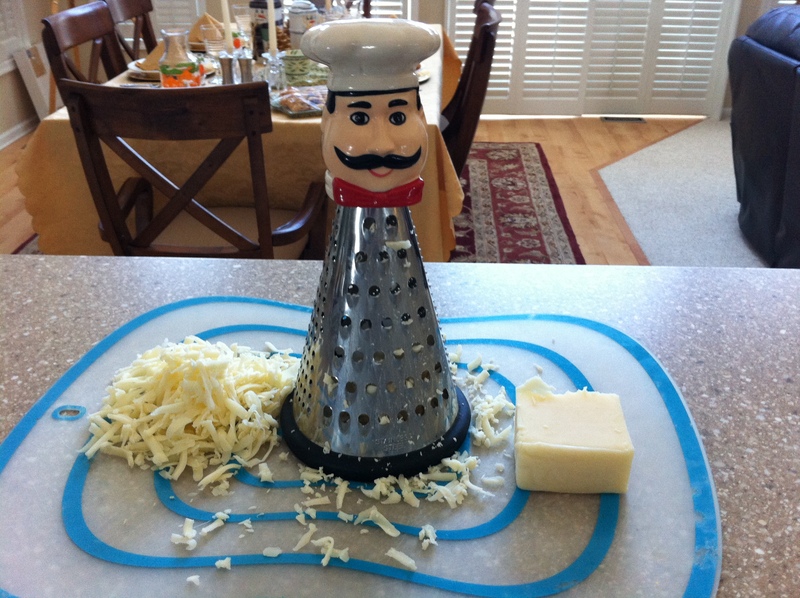 Check out this cute grater that I found at Love the Cook in Cape May!